DrinkWire is Liquor.com’s showcase for the best articles, recipes and reviews from the web’s top writers and bloggers. 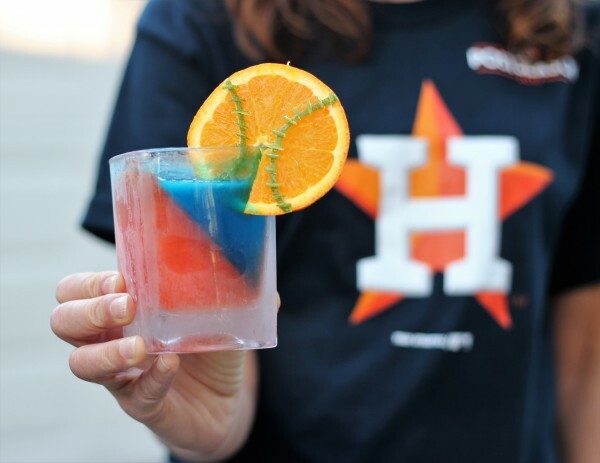 In this post, Boxes and Booze offers a cocktail dedicated to Houston. I'm from Houston, and we are all incredibly excited for the home team Astros as they fight for the World Series Championship. Houston is the most diverse city in America and the most uniquely international and welcoming city in Texas. In the aftermath of Hurricane Harvey the city's resilience, goodwill and spirit have shined. I couldn't resist making a toast to the city and my hometown as I root with everyone else here for our team. Go Astros! Go Houston! Freeze ice inside a glass to fill halfway depending on the glass. Shake the other ingredients together with ice and strain into the prepared glass. Garnish with an orange wheel baseball. Cheers!